When FSU’s student-athletes and their fans returned to campus this fall, they were greeted by a number of upgrades and renovations to athletic facilities that happened over the summer, most notably in Bobcat Stadium and to the tennis courts. 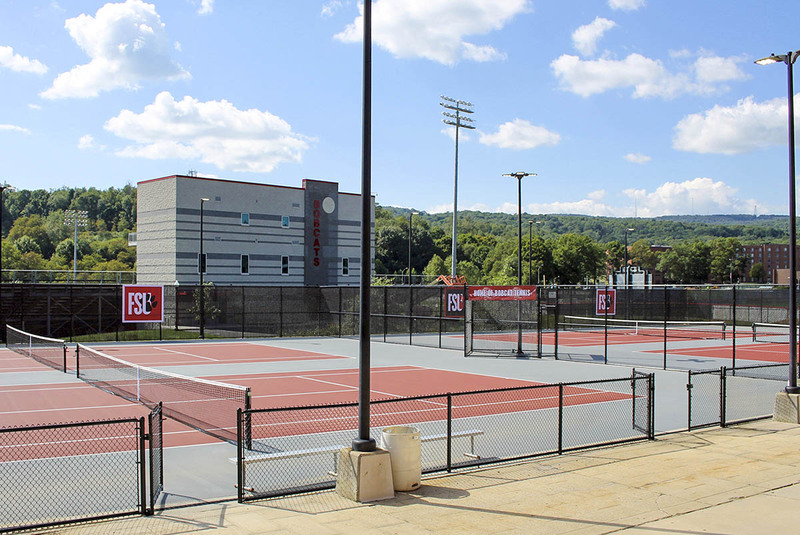 Frostburg’s tennis courts, which sit beside Bobcat Stadium, are also being updated. All six lighted playing courts were resurfaced over the summer after the previous surface had reached the end of its expected lifetime. Tennis facility updates are continuing into the fall thanks to another generous donor, alumnus Kurt Pfluger, Class of 1980, and his wife Bonnie, who are funding the tennis complex’s new scoreboard, which is still to be installed. 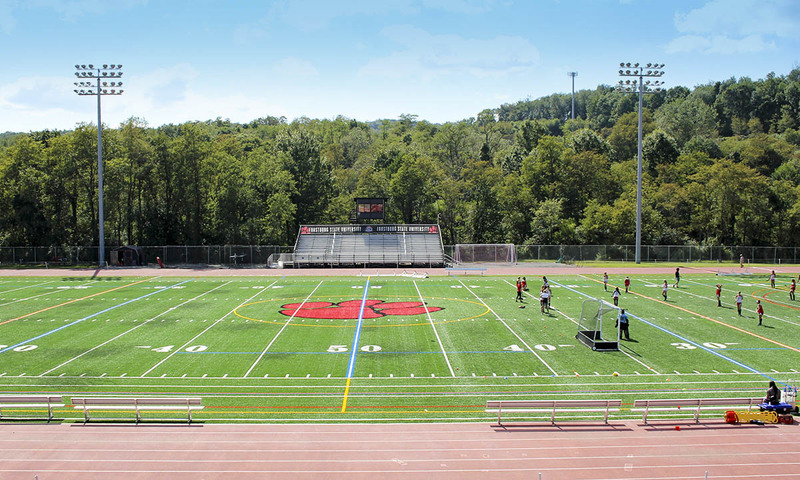 Bobcat Stadium was recently resurfaced in FieldTurf Classic HD artificial turf. ﻿The tennis courts have been resurfaced, and a scoreboard will be installed.